Hidden away in a secluded valley on the spectacular Portuguese Atlantic coast…a small retreat awaits you offering the perfect escape program. Providing a sanctuary from the noise and disturbance of the hectic modern life. 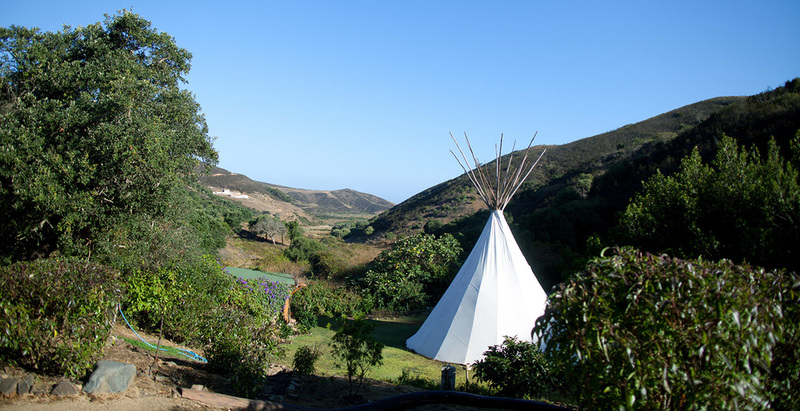 Tipi Valley is a tented, eco friendly retreat. A simple environment and a "homespun" rustic style give our seasonal retreat its essential charm and give you as our guest the opportunity to experience the great outdoors first hand. 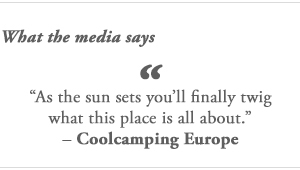 Surrounded by native cork oak trees and our own organic vegetable gardens. A nearby river flows through the valley to our local surfing beach. 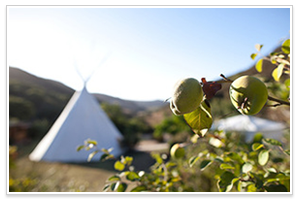 At Tipi Valley we have been specialising for years in surf and yoga programs and organised seasonal events. We will ensure that you not only have a relaxing and healthy yet experience with us but a fun and rejuvenating stay as well. 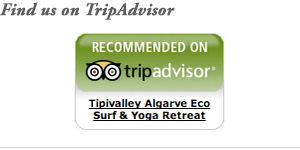 Experience this amazing sensation, with qualified and patient surf instructors. Peace, strength, flexibility and a sense of the here and now. Yoga sessions twice a day. Find stillness and get away from the distractions of modern life. We are very grateful and proud of our collaboration with eco yoga mats.